We’re already half way November. Only 6 more weeks to go, and it will be Christmas already! And to be honest, I really can’t wait to decorate our apartment, haha! But back to the subject of this post; the inspiring blogger outfits of November! This month, there are quite some outfits with blue in it. Despite the fact that we’re in the middle of fall, I did find quite some colorful outfits. 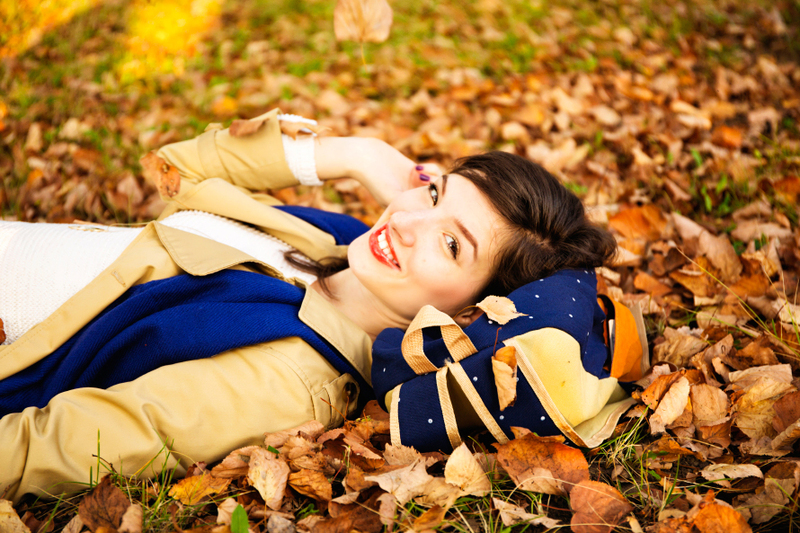 I really like Natasha‘s photo, in which she’s laying in a bunch of fall leaves! What do you think of this month’s inspiring blogger outfits? And which one is your favorite? What do you think of this month’s inspiring blogger outfits? And which of them is your favorite? Thanks, dear, for including me on your list!!! It is an honor! Hi Mélody! You’re very welcome! Love your outfit!